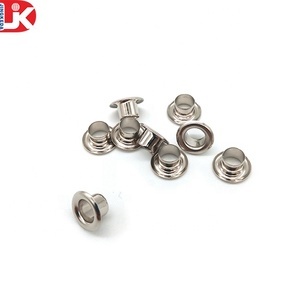 high quality stainless steel iron sheet grommets metal eyelets wakison hardware factory is a professional manufacturer specialized in bags and garments metal accessories. 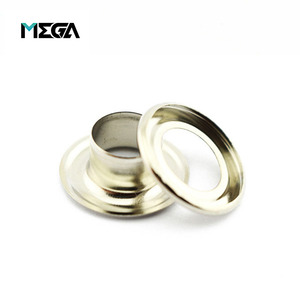 our products are with sgs and rohs compliant and meet european standard. Stainless steel big metal eyelet Item name Stainless steel big metal eyelet Color Silver/Nickle Metal type Brass Size Any size,welcome to custom Price With factory price,favorable price, competitive price Quality High quality Technics Plating Feature Washable,dry cleaning Design Custom made Related product Eyelet,rivet,jeans button,metal buckle etc. 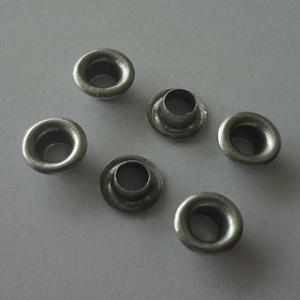 and also many kinds of eyelet and rivet accessories for bag,shoe,packing box etc. and w e have our own painted workshop.and can make the rivet any colour as your requirement such as accordingly to pantone colour. 4. Large-scale production line, more rapid delivery. 9. Reasonable price and good service: we treat clients as friend. 10. Prompt delivery: We have 10 sets di-casting mold, it can make sure the delivery date. We warmly welcome old and new customers at home and abroad to cooperate with us. Can I add my logo on the product9 A: Yes, we can add your logo on the product. Can I place mix order9 A: Yes, you can mix colour and style in our stock items. 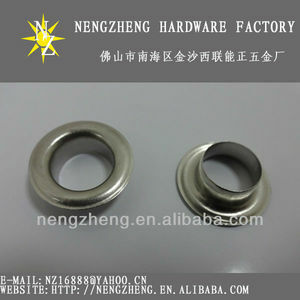 Q.
Alibaba.com offers 3,275 stainless steel eyelet products. About 17% of these are garment eyelets, 1% are springs, and 1% are safety shoes. 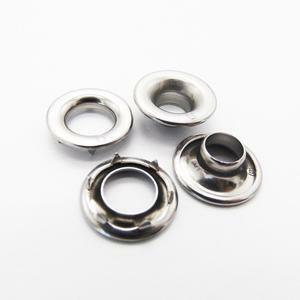 A wide variety of stainless steel eyelet options are available to you, such as stainless steel, iron, and brass. You can also choose from antique brass, nickel. As well as from plating, painted. 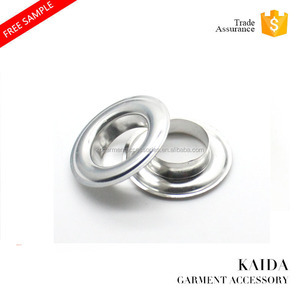 And whether stainless steel eyelet is free samples, or paid samples. 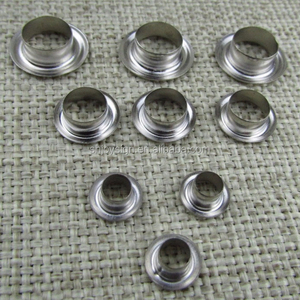 There are 3,275 stainless steel eyelet suppliers, mainly located in Asia. 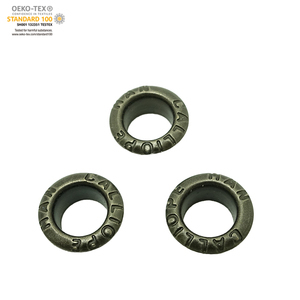 The top supplying country is China (Mainland), which supply 100% of stainless steel eyelet respectively. 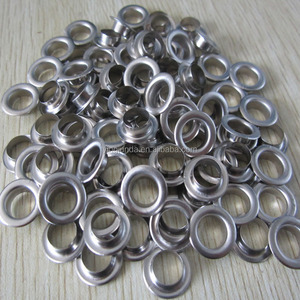 Stainless steel eyelet products are most popular in Domestic Market, North America, and Western Europe. You can ensure product safety by selecting from certified suppliers, including 978 with ISO9001, 232 with ISO14001, and 212 with Other certification.